The public accounts committee last year produced a framework for the inquiry and wants to stop the finance committee from taking control of the probe. 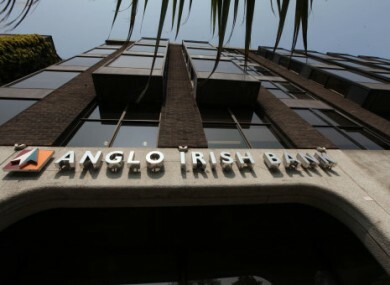 Anglo Irish Bank may be excluded from the inquiry to prevent interference with upcoming trials of former executives. THE OIREACHTAS PUBLIC Accounts Committee is not giving up on conducting the forthcoming banking inquiry according to its chairman John McGuinness TD. The inquiry was announced last week by An Taoiseach but there has been much debate about whether the PAC or the finance committee will be in charge of looking into the period up to the 2008 bank guarantee. The PAC last year published a framework for the inquiry but finance committee chairman Ciarán Lynch TD has said it’s been a “number of years” since the PAC has undertaken such an inquiry and that the finance committee is better placed for the undertaking. The decision on who carries out the inquiry and what exactly it investigates will ultimately be decided by the Oireachtas Committee on Procedures and Privileges. The PAC did a lot of work last year on scoping out the issues that should be addressed in any such inquiry, these were laid down in our report which was published in July 2012. In that report the committee indicated clearly that it was best placed to conduct such an inquiry and that remains the position. “In order to inform the CPP, we’re going to forward them our report and indicate to them our interest in it,” he added. The CPP has begun procedures to work on what should be investigated and Fine Gael TD Eoghan Murphy outlined his belief that PAC members who worked on last year’s report should be consulted. My position would be that given the work we’ve done in the PAC, the extensive work and the very good work, that we are best placed to hold this inquiry and I would hope that the committee is making every effort to see that it can. McGuinness said that his information was that it would be “some time” before the CPP makes any decision on how the banking inquiry will proceed and who should be consulted along the way. Email “Oireachtas committees fight for right to hold banking inquiry”. Feedback on “Oireachtas committees fight for right to hold banking inquiry”.